Whether you’ve got electric or gas dryer problems, stop using the appliance and call us. Our company is available for same day dryer repair in Riverside, California, and an expert in all brands. Just call to tell us what’s wrong with the top or front load dryer and we’ll dispatch a home appliance tech as soon as possible. 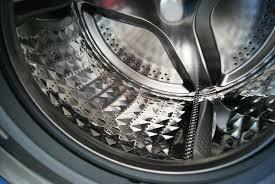 Although dryer problems are nearly unavoidable due to the appliance’s normal wear, some can be prevented with proper installation and regular maintenance services. And each time you need service, we will send you a qualified and well-equipped appliance repair Riverside CA tech. Are you looking for a Riverside dryer technician to fix a problem? Don’t hesitate to call our company for dryer repair! We dispatch a qualified pro to your home at the earliest time possible. Everyone on our team knows that dryer issues cause more troubles than one can imagine. They don’t merely stop drying clothes well but if they are clogged, they can also start a fire. To avoid safety concerns and property damage, call us for routine dryer service apart from repairs. Call Appliance Repair Riverside the moment you sense the dryer is not working like before. Does it make a strange noise lately? Does it take longer to dry clothes? Do you feel a high level of humidity in the laundry room every time the dryer runs? The sooner you call us to address problems the better the appliance will run. Of course, we are at your service for urgent repairs should the appliance stops working altogether, seems to be clogged, or fails to dry clothes. In such cases, all you need to do is give us a call, explain the situation, and provide the model. The appliance techs can fix any type of dryer. With expertise in washer and dryer repair, they can tackle any issue with combos but also with individual appliances. Whenever you need service, simply get us on the phone and a dryer expert will shortly come out. There will come a day when this dryer won’t meet your needs anymore. And then, we will be available for a dryer installation service too. It’s critical that dryers are fitted well to perform with safety. Why should you encounter problems because of a poor installation? Choose us to have peace of mind that this service is done as well as all repairs. And keep our phone number handy. In case there is ever need for dryer repair Riverside service, you just give us a call and we’ll dispatch a certified appliance pro to your home.